Our goal is to meet monthly to bring guest speakers, marketing best practices, and other hot topics to inbound marketing fans in the Vail Valley and Mountain Region. 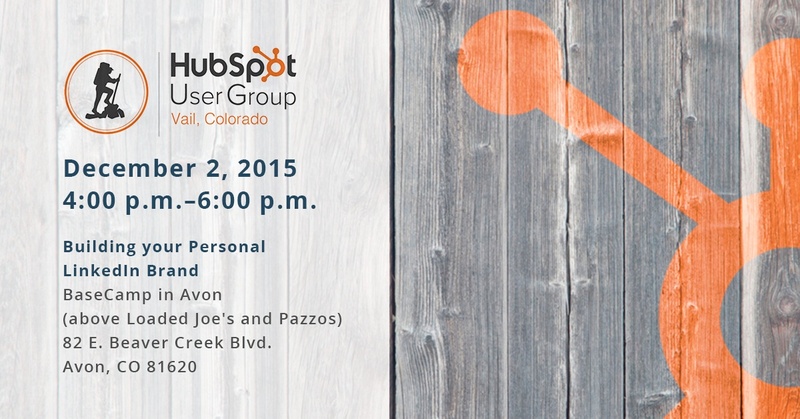 Join us for the our next Vail HUG Meetup! Our Topic is "Building your Personal LinkedIN Brand"
Meet new HUG friends and gather ideas, questions, and inspirations for rocking your online marketing program!